While the current administration and the media focus daily on border enforcement, caravans and travel bans, a quiet revolution is taking place in American immigration policy that is going largely unnoticed by the media and the public. While the wisdom and success of wall building is debatable, the administration is succeeding in its efforts to reduce the flow of highly educated and hard-working immigrants to the United States. Navigating the U.S. immigration system to get a green card or citizenship has been difficult for many decades. American policy is increasingly designed to make it so difficult that many of the best and brightest who previously would have come to the U.S. are choosing Canada and Australia instead. “I am not against immigration. I am against illegal immigration. As long as they come here legally, I support their right to come here.” This sentiment captures the mainstream view of many Americans on the issue of immigration policy. For most Americans, the issue of immigration boils down to illegal immigration. This is not surprising since almost all media coverage of immigration focuses on illegal immigration and border security. Little if any media attention is paid to the state of our legal immigration system – the method used by foreign nationals to come temporarily or permanently to the U.S. Currently, there are about 13 million green card holders in the United States – people who have lawful permanent residency but who are not U.S. citizen. Of these, nearly nine million are eligible to apply for U.S. citizenship. Each year, around 140,000 people are eligible for green cards based on their employment rather than a familial relationship with a U.S. citizen or green card holder. Another 480,000 are eligible based on their spouse, parent or other family relationship, and 50,000 get it through a visa lottery. In 2017, over 22 million people applied for one of the 50,000 visa lottery green cards. For immigrants who obtain their green cards through employment, most begin their decade-long (or longer) journey to permanent residency as college students. The last two years have seen steep drops in enrollment of foreign students in American colleges, especially in graduate and PhD-level programs, and in undergraduate STEM fields such as engineering, historically the most popular major for foreign students. Historically, a crucial intermediate step for many immigrants in the STEM field between their time as graduate students and getting the green card has been the H-1B work visa category, a temporary status that provides 6 years of work authorization while they pursue the green card. Sometimes the 6 year period may be extended for long-pending green card applicants, who sometimes take a decade or longer to get the green card due to backlogs in processing. To further ease the burden on this journey, the spouses of these green card applicants are eligible for work authorization. The current administration is attacking this path to permanent residency on many fronts. It is proposing to drastically reduce or eliminate practical training opportunities currently available to foreign students on the ground that U.S. workers are negatively impacted by allowing international students to work. For graduating students sponsored by employers for the H-1B status, the administration in 2018 dragged out the processing of these applications from 3-5 months to over a year in many cases, thus causing the recent graduates to lose their temporary work authorization. In still another effort, the administration has proposed to eliminate the work authorization of H-1B spouses, also on the ground that allowing these spouses to work harms U.S. workers. Businesses that sponsor workers for H-1B and green cards are having to adjust their strategies for getting top talent. One such strategy which is gaining steam is to relocate highly skilled and educated workers to Canada, where immigration policy is more welcoming. Canada has viewed the American immigration clamp down as a strategic opportunity to attract the best and the brightest. Only time will tell whether current U.S. policy will serve the long-term interests of the U.S. economy in an increasingly competitive global environment. 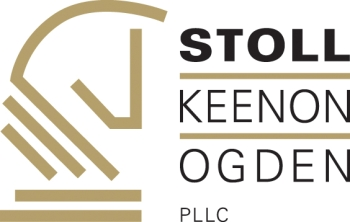 Stoll Keenon Ogden PLLC - Charles R. Baesler Jr.